Microsoft Surface Pro 2 dock accessory to enable external displays? A real desktop PC replacement? 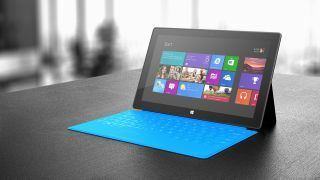 Surface Pro to get an imminent upgrade? Microsoft's heavily-rumoured Surface Pro 2 device will reportedly launch with a new dock accessory, allowing users the opportunity to connect more devices, including external displays. The Neowin site has received word that the dock will feature three USB ports, making it easier to connect external keyboards, mice, storage devices. The Surface Dock, according to the report, will also enable users to hook up their external desktop monitors. Effectively, the site speculates, the accessory would enable the Surface Pro to become a true desktop PC replacement as well as super-portable Windows 8 laptop and touchscreen tablet device. The news comes just says after Neowin the Surface Pro 2 will feature a new keyboard cover called the Power Cover that will boast an additional battery to keep the device ticking along for a little longer. This latest revelation is another part of an increasingly clearer picture for the next-gen Surface Pro tablet, running full-fat Windows 8. Earlier this week it was claimed the device will run Intel's new Haswell processors, include a two-stage kick stand and offer 8GB of RAM. No news yet on when Microsoft will launch the device, but it would make sense for the company to out the device when the Windows 8.1 update drops in October.